Please click on the picture to see a larger view. 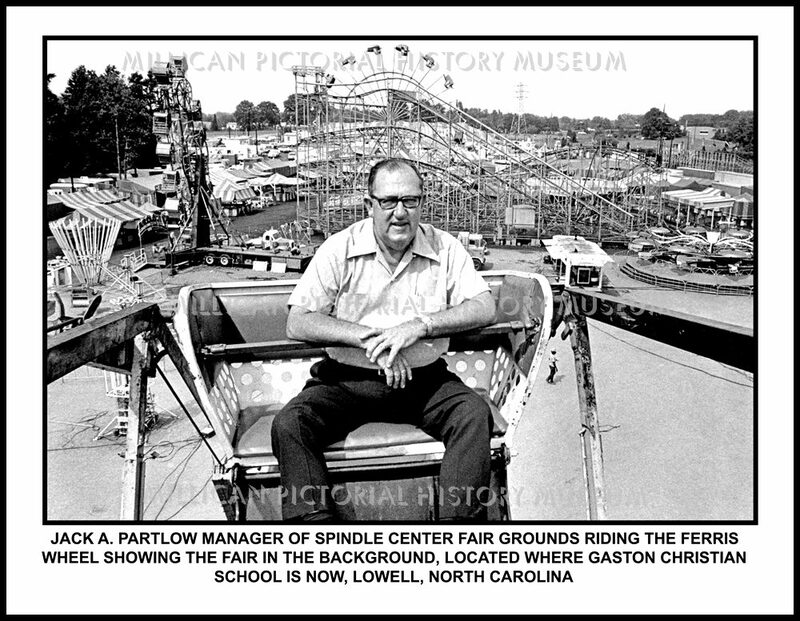 Jack A. Partlow manager of Spindle Center Fair Grounds riding the ferris wheel showing the fair in the background ( located where Gaston Christian School is now) , Lowell, NC. This is an 8 1/2 x 11 picture that will fit perfectly in a document frame.